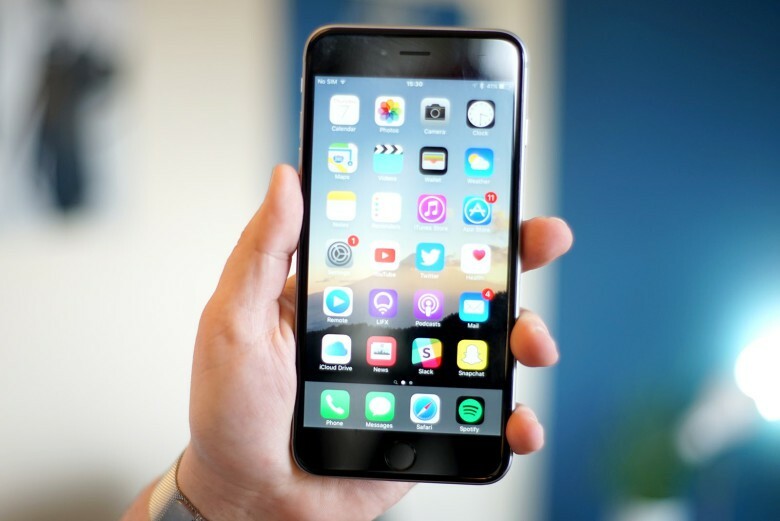 A strange flaw in the design of the iPhone 6 and iPhone 6 Plus has begun to plague a growing number of users, according to a new report that claims third-party repair experts are swamped with requests to fix what the Genius Bar can’t. The repair gurus at iFixit say the defect is allegedly more common with the iPhone 6 Plus and causes a gray flickering bar at the top of the display while making the touchscreen completely unresponsive. Many people have allegedly taken their iPhones to Apple to have the “Touch Disease” cured, but were told nothing can be done to fix the problem because the iPhones are already out of warranty. Apple is apparently aware of the problem because their support forums are flooded with complaints, yet its not doing anything about it. Some iPhone owners plagued with Touch Disease have been able to fix the issue momentarily by applying pressure to the display, but the gray bar keeps coming back and touch functionality grows worse. The only way to fix the defect is replace the logic board, or the Touch ICs on the logic board. You can also just replace the entire iPhone. This entry was posted in Apple news and tagged defect, iFixit, Iphone 6, iPhone 6 Plus, logic board, Repair. Bookmark the permalink.